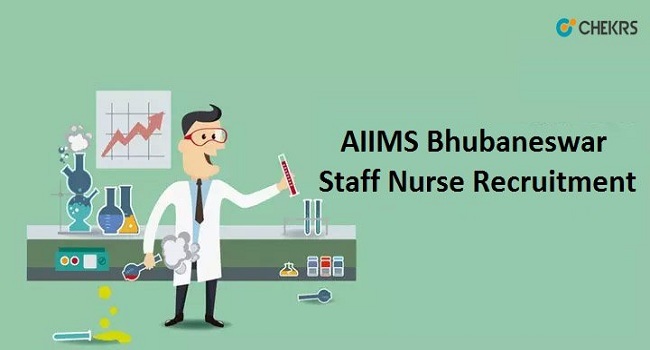 AIIMS Bhubaneswar Staff Nurse Recruitment 2019: The AIIMS, All India Institute of Medical Sciences, Bhubaneswar has made AIIMS Bhubaneswar Staff Nurse Recruitment announcement through a notification. According to the notification, the candidates from the medical field are called to apply for the various vacant posts. The vacancies are for the Staff Nurse in Grade I and Grade II. The interested candidates can send their applications through the online process. Latest Update: AIIMs Bhubaneswar is going to release the Staff Nurse Recruitment 2019 notification for various vacancies. Eligible & interested candidates can fill the application form before the last date. Aspirants check out all other major details such as eligibility, AIIMS Bhubaneswar Staff Nurse Online Application dates, eligibility, application procedure, post wise vacancy, and selection process in the complete article. AIIMS is among the prestigious organizations in the field of medical science. Through this AIIMS Bhubaneswar Staff Nurse Vacancy Notification, a large number of candidates are given the opportunity to become an employee of the organization. The selection of the candidates will be on a direct recruitment basis under Pradhan Mantri Swasthya Suraksha Yojana (PMSSY). Those who have similar eligibility as described in AIIMS Bhubaneswar Staff Nurse Recruitment 2019 Notification should not wait for too long or miss this chance. SC/ST/PWD/Women are exempted from it. The candidate should have done B.Sc. Nursing (4-year course) from an Indian Nursing Council recognized Institute/University. The candidate must possess B.Sc. (Post-certificate) or equivalent such as B.Sc. Nursing (Post Basic) from an Indian Nursing Council recognized Institute/University. The applicants should be registered as Nurse & Midwife in State/ Indian Nursing Council. The candidate should have done Diploma in General Nursing Midwifery from an Indian Nursing Council recognized Institute/Board or Council. The applicants should have experience of three years of experience as Staff Nurse Grade-II after B.Sc. Nursing/B.Sc. (Post Certificate)/B.Sc. Nursing (Post Basic) in a minimum of 200 bedded Hospital/Healthcare Institute. The candidate must possess two years’ experience in minimum 50 bedded Hospital after acquiring the education. The minimum age limit of Grade I applicant should be 21 years and maximum 35 years. The minimum age limit for Grade II applicant should be 21 years and maximum 30 years. There is age relaxation up to 15 years for reserved categories. The selection candidates under both the grades will be given a monthly salary of 9300-34800 + GP Rs.4600/- per month. The applicants can process their application fee only after submitting Rs 1000/-. The SC/ST, PWD, and Women of all categories are exempted from the fees. Click on the link for Apply Online from the right corner. Choose the position you have applied for. Enter the details as per asked in the online application form. Recheck the application details and click on submit. Submit the fee through online medium. The candidates will select directly on the basis of their performance in the written test. The candidates are advised to start their preparation from now on so that they can qualify the exam. The selected candidates will have to serve a probation period of 2 years. The AIIMS Bhubaneswar Group B Exam Date will be notified once the registration is over. To get latest updates of the government jobs to state wise kindly bookmark the page job.chekrs.com.